Perfectly ground for full aroma. As beans or ground. 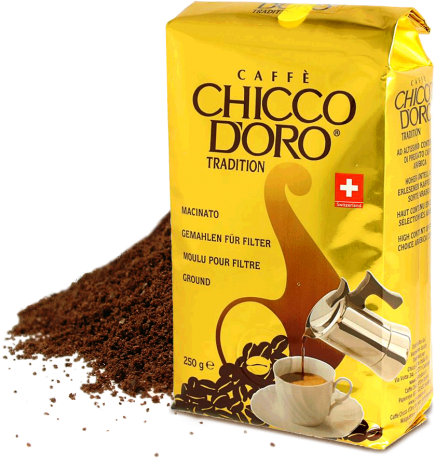 Chicco d’Oro Tradition is a high quality blend composed of the finest Central America coffee. hand-picked from the choicest medium altitude slopes, where the climate is ideal for the coffee plant. Selecting is done by our specialists, who, with their experienced sense of taste, constantly recreate the right recipe. 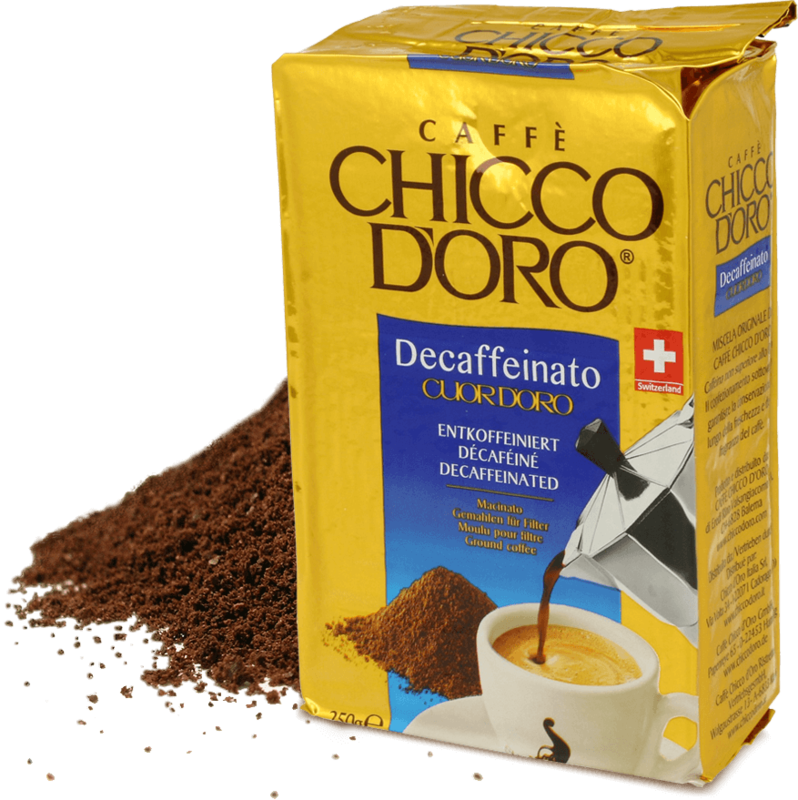 Decaffeinated coffee should also have the taste and full aroma of a real espresso. 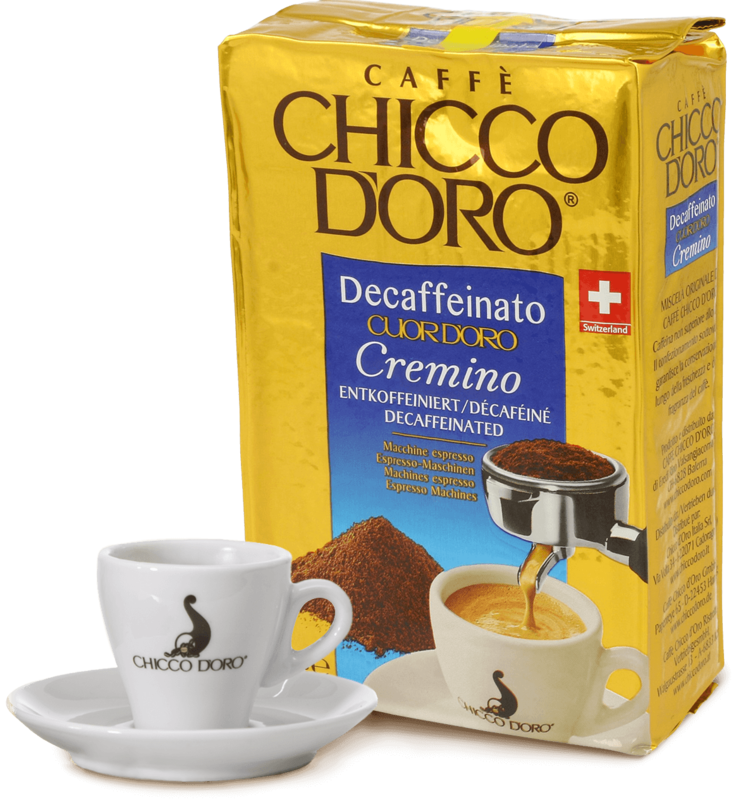 That’s why Chicco d’Oro presents Cuor d`Oro as the best possible solution: the most up-to-date decaffeinating process for maintaining the aroma’s bouquet. The demands have been fulfilled, the difference between the decaffeinated product and the genuine original is hardly noticeable. A special blend from the coffee plantations where the Max Havelaar Foundation subsidizes the coffee farmers’ harvest. 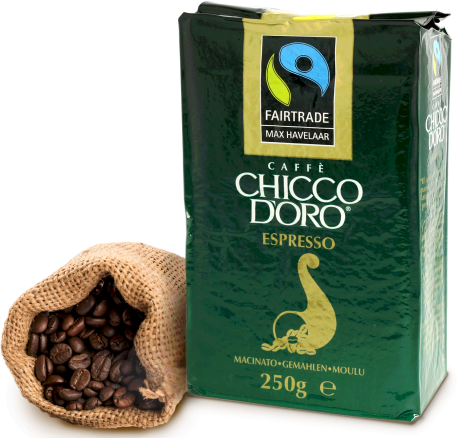 Fair trade for third-world producers is the declared aim of the co-operation between Chicco d’Oro and Max Havelaar. The foundation guarantees the producers the minimum price necessary for them to at least break even. The product is purchased direct, thus eliminating intermediate trading. Whoever drinks Max Havelaar coffee, has the reassurance that the growers are getting a fair deal. 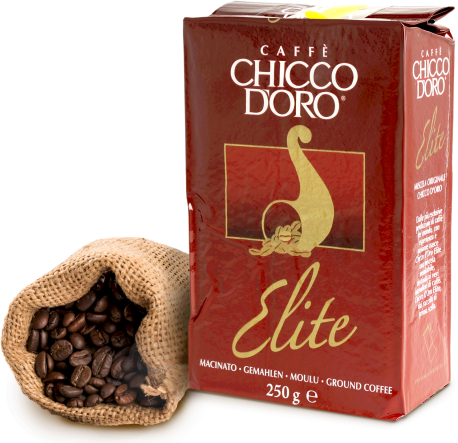 Composed completely of Arabica coffees, this exquisite blend unveils pure pleasure to the experienced coffee connoisseur. The Elite blend earns its name from being the result of sheer experience and tireless selecting of the delicate natural product. First choice for first class enjoyment. Especially blended for your espresso at home. 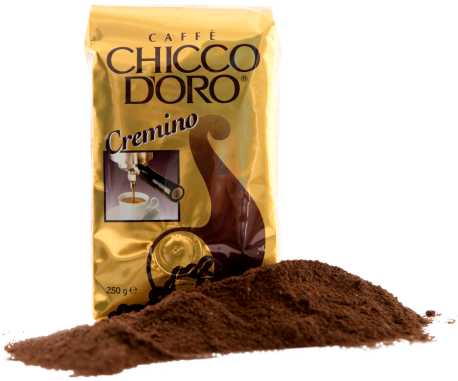 Its froth is thick and creamy and its taste develops deliciously, rich and long-lasting.